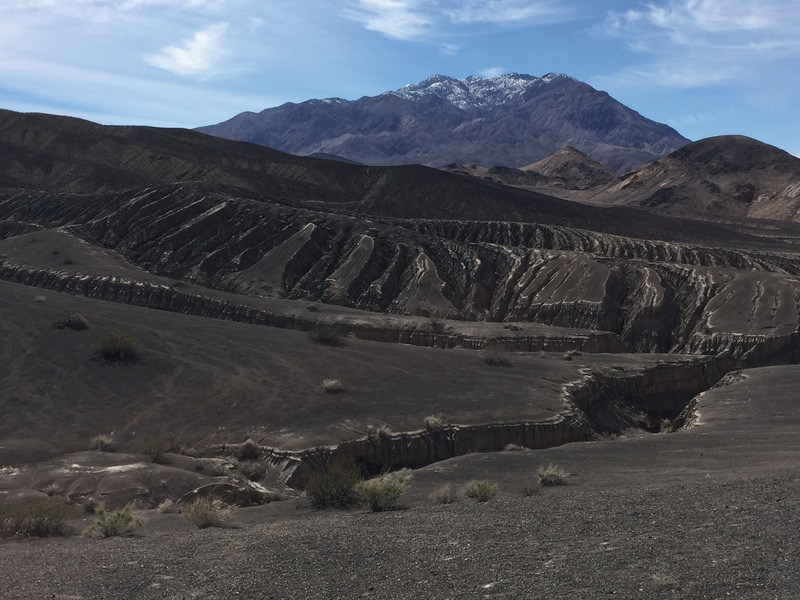 If you follow Scotty’s Castle Road north of the main junction of Death Valley National Park, after 33 miles you will arrive at Ubehebe Crater. This is also where the paved road ends and if you have 4 wheel drive you can continue on to the Racetrack where you can see that mysterious occurrence of rocks that move by themselves. However that is a story for another day. On this fine day, along with fellow Bighornblog contributors Josh and Anya we were preparing to hike the Ubehebe Crater Trail. 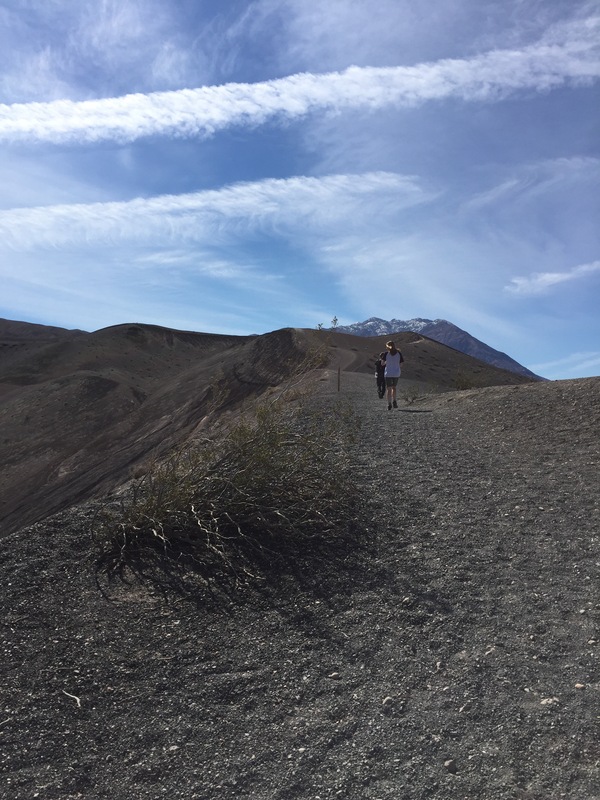 It was mid morning and being Death Valley, the temperature was rising quickly along with the sun in the blue sky scattered with wispy white clouds. 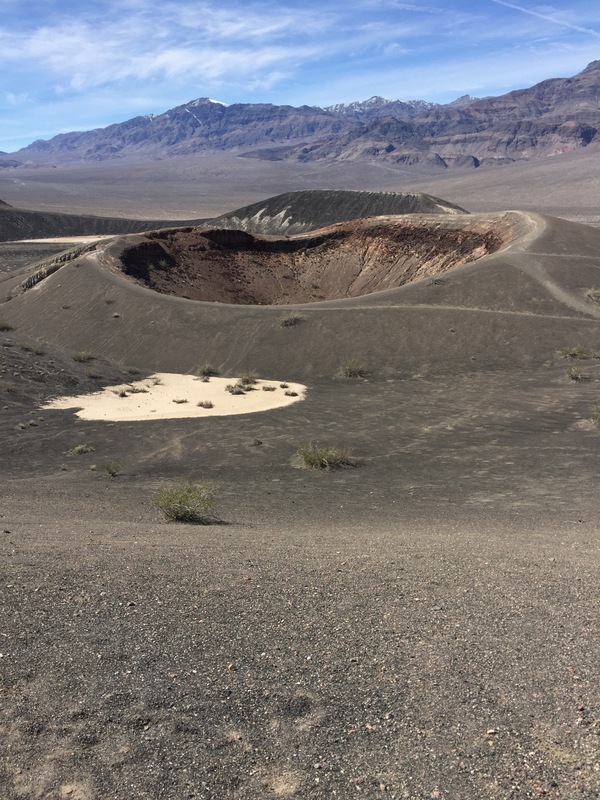 The Ubehebe Crater trail is a 1.5 mile loop trail that surrounds the namesake crater which is of volcanic origin. The trail is dry black sand and only has 500 feet of elevation change. This area is arid, treeless and bleak. 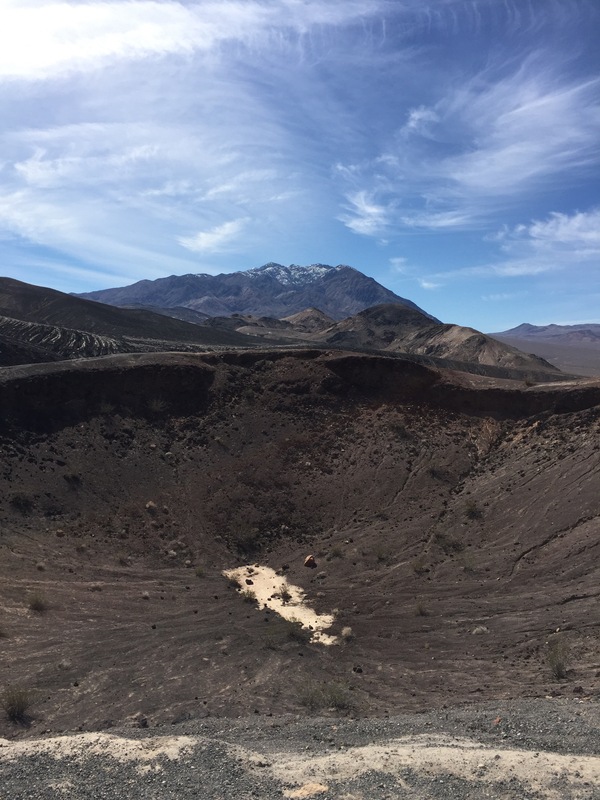 However, the views are expansive and the crater is impressive. We went right which takes the elevation change head on. After conquering the small incline, also to the right is the Little Ubehebe Crater Trail which adds .7 miles to make a total distance traveled to 2.2 miles. We took the side trip around Little Ubehebe and rejoined the main trail. On the opposite side of the main crater we stopped to rest and indulge in some Clif Bars. Behind us was an impressive looking canyon. We continued around the loop and quickly arrived back at the rental car and lamented our lack of 4 wheel drive. 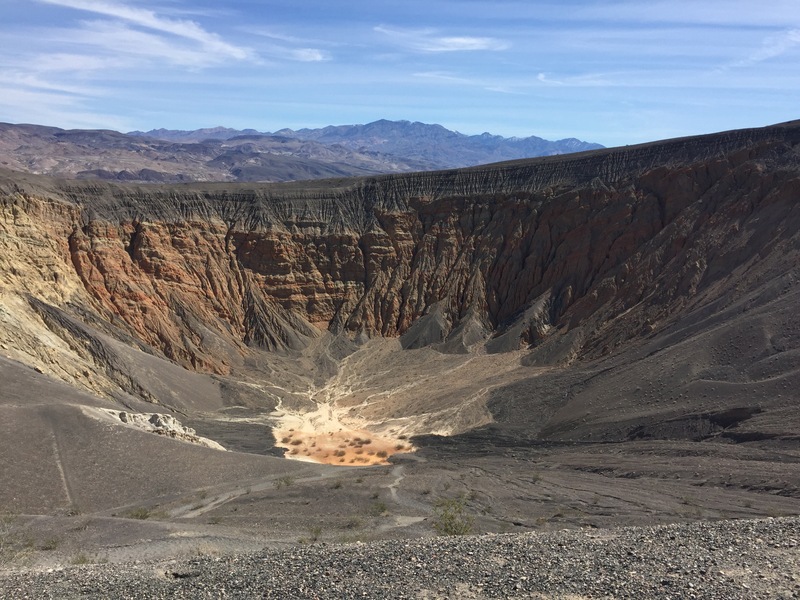 Ubehebe Crater is a quick fun hike. This area is very different than the Badwater Basin area and worth the drive up here. Have you hiked this trail? I’d love to hear your impressions of this area of Death Valley NP in the comments.